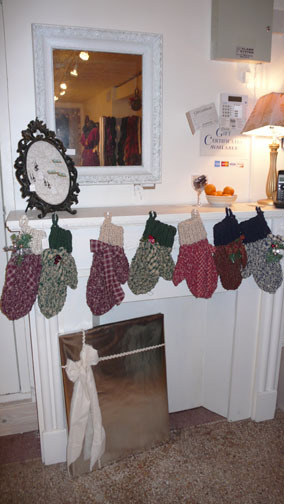 Try something new this holiday season and don the mantles gay apparel with hand knitted oversized mittens. 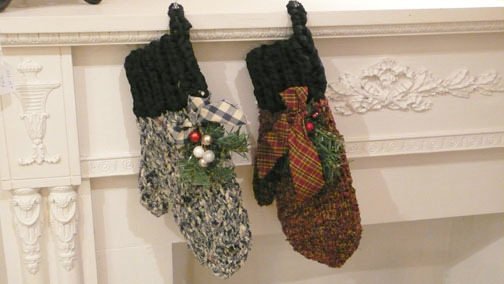 They are made from 100% cotton hand spun plaid fabrics that give them some serious rustic charm! They are perfect for stuffing full of little treasures on the mantle, or as a gift for your boss or teacher! Stuff never looked so good. We'd love to work with you to create your unique look for the wedding dress of your dreams. Check out what we do on social media or drop us a line to talk about your vision for the most beautiful dress you'll ever wear.